No one wants spelling or grammar mistakes in their content, but errors are easy to miss. Use this integration as a final grammar safety net to make sure no mistakes go unnoticed. 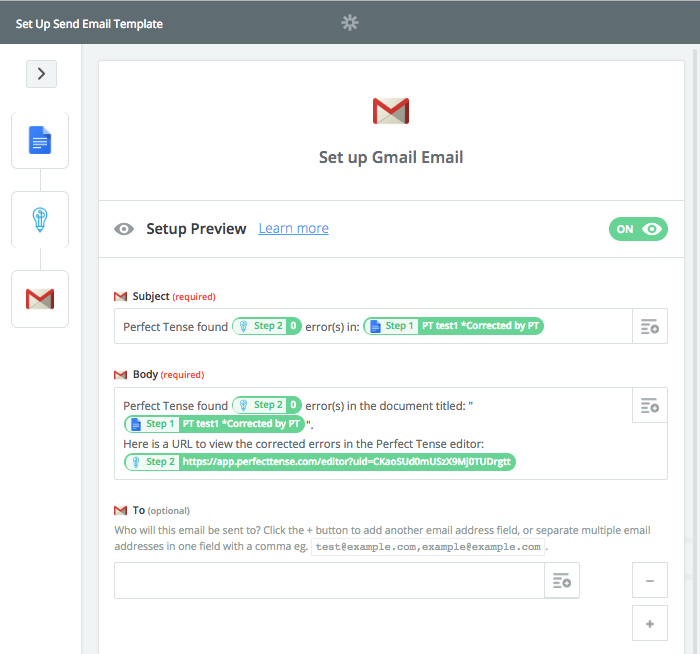 This integration uses Zapier and Perfect Tense to check your entire Google Doc and will send you a Gmail notification about any errors it finds. 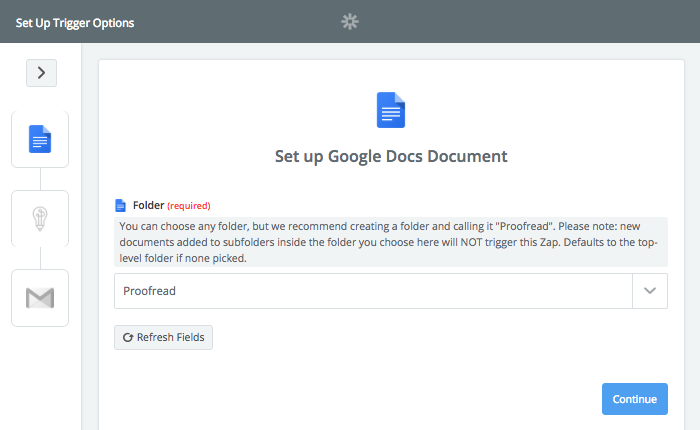 All you have to do is move any document to your "Proofread" folder, and Perfect Tense will send you a Gmail notification about errors that need your attention. 1. 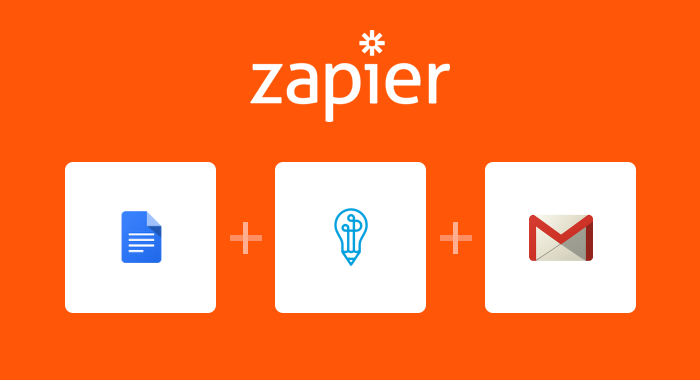 Make sure you have a Perfect Tense and Zapier account (both are free to try). 2. Zapier makes setting up your automation easy by providing templates, just click the template below to get started and follow along with the steps below if you have any questions. Click “Use this Zap” to read about the integration and get started. This template was prebuilt to make setting up the integration easier. While most fields will be pre-populated, this tutorial will help you fill in the rest of the blanks. 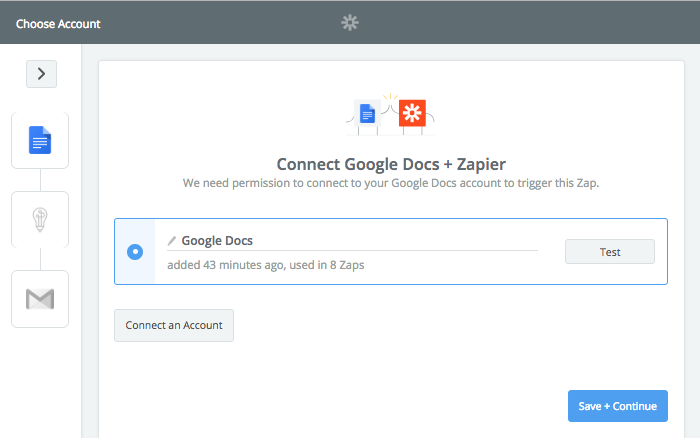 First, connect your Google Docs account to Zapier. Next, you will need to choose the folder that you would like Perfect Tense to proofread. We recommend creating a “Proofread” folder where you can move the docs that you are ready to proofread. 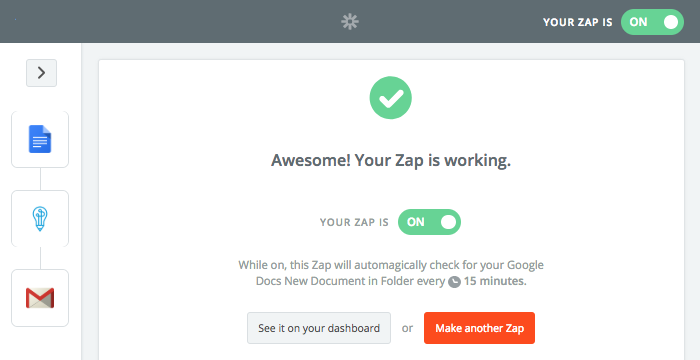 Zapier will then pull in the last file you added to the folder to run a test case. Once the samples have been pulled, you will be ready for the next step. Because you are using a template, the Perfect Tense action will be preselected for you. All you need to do is connect your Perfect Tense account to Zapier. Once you have connected your Perfect Tense account, the text Perfect Tense will be correcting should be prefilled with a sample. If it is not, select “File Raw Plaintext Content” from the drop-down menu. Zapier will send a sample correction to Perfect Tense. Once this test is complete, you will be ready to set up the final step. Again, the action step will be pre-selected for you. All you need to do is connect your Gmail account. Once you have connected your Gmail to Zapier, the subject, and content of the email will be prefilled. All you need to do is click “Advanced Options” and enter a “To” email address. Once you have saved these settings, your integration should be all set up! 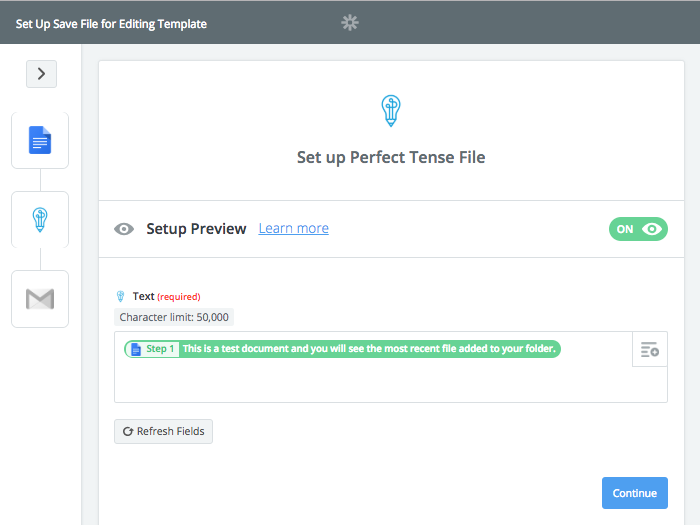 It’s that easy to create a final grammar safety net for all your Google Docs content with Zapier and Perfect Tense!